Chelmer Valley Brick Company Limited are the specialists in paving products providing you with extensive ranges of quality brick pavers for all applications. You will be selecting clay paving of the highest quality from the largest range available, with expertise on hand to help and advice from a company whose focus is purely clay pavers. You can be confident that you are providing excellent value for money. Our quality products provide longevity and durability giving many years of use. You can have the confidence of knowing you are dealing with professionals in the field of clay paving, with deliveries supplied when, and how you need them. You can provide your clients with the very best possible products, and achieve results that will reflect in the most positive way the standards you wish to achieve in your work. You will be able to fully deliver the design concepts you wish to create, through an unrivalled range of colours and textures. You can select and have supplied beautiful clay paving of exceptional quality, from a vast unrivalled selection, supplied by the country’s leading clay paver professionals. 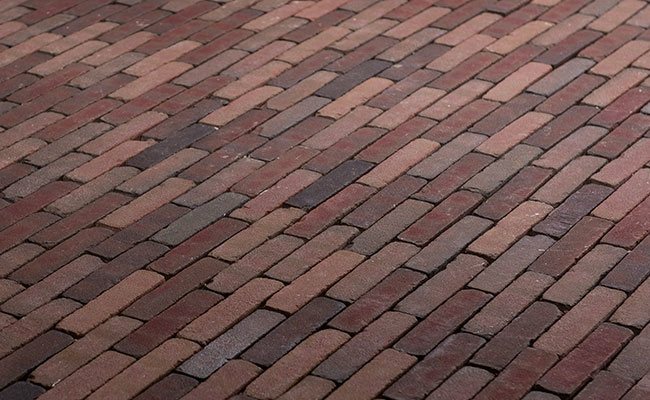 Only Chelmer Valley specialise in brick paving products, with the expertise and focus to deliver extensive solutions for all brick paving situations. Colours, textures, sizes, styles, we are unrivaled in our ranges, with an on going development program to continually build on these strengths. Clay pavers have for centuries been used to combine practicality with esthetic qualities, providing many years of a quality durable surface in a durable, pleasing, timeless manner. Chelmer Valley clay pavers will always enhance landscaping, with visible quality and style, in a manner not possible with alternative materials. Chelmer Valley has taken clay pavers to new levels, by developing completely new formats, finding new ways to merge colour tones, textures, and formats. Design imagination can be expanded beyond preconceptions through the extensive options in clay pavers that we can offer. We are the natural choice for clay paving, offering a high quality alternative to concrete and stone paving products. Chelmer Valley are the country’s leading specialists in brick pavers, offering a wide range of products for the commercial and domestic markets. Our experience in the clay paving market spanning over 35 years has enabled us to now offer you the largest range of paving options to meet all design criteria. The extensive ranges on offer provide endless brick paving solutions, with paving products in multiple styles, colours and textures, with unique style, warmth and character. All our products are made from natural materials, clay with sands, to provide superior qualities of colour fastness and durability. We have our sales showroom and distribution depot in Essex. We deliver throughout the United Kingdom. Collections can also be arranged. Our showroom is indoors, for comfort of viewing, with help and advice on hand to assist you in selection of your paving choice. Chelmer Valley are at the forefront of bespoke landscaping products, providing exceptional paving of the highest standard to meet all expectations, with products for gardens, driveways, patios, pathways, pedestrian areas, car parks, landscaping, renovations, restorations, refurbishments, renovations, urban redevelopments, new builds, conservation projects and every situation where hard landscaping is needed. All our pavers comply as frost resistant, as detailed in the official paving standard BSEN1344. Our products are manufactured using two natural raw materials, clay and sand, and wherever possible surplus energy and materials are saved and reused. Heat from kilns is transferred to the dryers, rainwater is collected for the clay mixing, and because clay is an inert material, there are no toxic or allergic substances to pollute soil used in the manufacturing process. We provide designers, landscapers, home owners and architects with an unrivalled choice of inspirational carefully designed clay paving products of the highest quality, to create the perfect driveways, garden patios, commercial paved areas, walkways, parking areas, pedestrian schemes and town centre developments. Our products are designed for all domestic, landscaping and commercial applications, and we are committed to quality and service to offer our customers the perfect solutions to their paving needs.